Not long ago, a list of London's best vegan desserts would have been a fruit salad and sorbet-centric thing. Not anymore. A legion of lush desserts across London proves that being vegan doesn't have to mean a life of monkish asceticism. The Gate is just so slick. Unsurprisingly, maybe, it's had a few decades to hone it — the Hammersmith restaurant's been the darling of the vegetarian scene since it first opened in the eighties. It's expanded to Islington and Marylebone with further restaurants, catering for a range of dietary needs — everything's vegetarian, but gluten-free, vegan and autism-friendly dishes are all on offer as well. Like everything they do at The Gate, the desserts are simple enough to feel effortless, with just enough frills and garnishes to feel like an occasion. 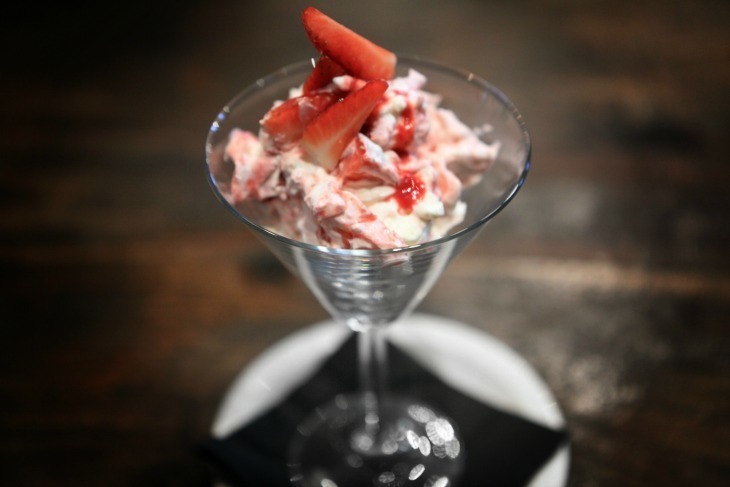 Don't miss the strawberry Eton mess if it's on the menu — vegan, but not noticeably less rich and creamy than the full-dairy, multi-egg version. The Gate, 51, Queen Caroline Street, W6 9QL. See website for other locations. Strawberry Eton mess at The Gate. This Primrose Hill restaurant is entirely vegan, so every dessert is fair game — the Vice Cream (dairy-free ice cream) with organic amaretto liqueur poured over makes for a great way to wrap up dinner. But to really see craftsmanship at work try the cookie semi-freddo, with layers of vanilla and raspberry Vice Cream and chocolate chip cookies, served with a sweet, sharp hit of crushed berry. This Persian restaurant, tucked into a Persian grocery store, does some of the best vegetarian cooking south of the river. The sundaes are vegan on request. It's hard to whittle down the menu to the best of the desserts. 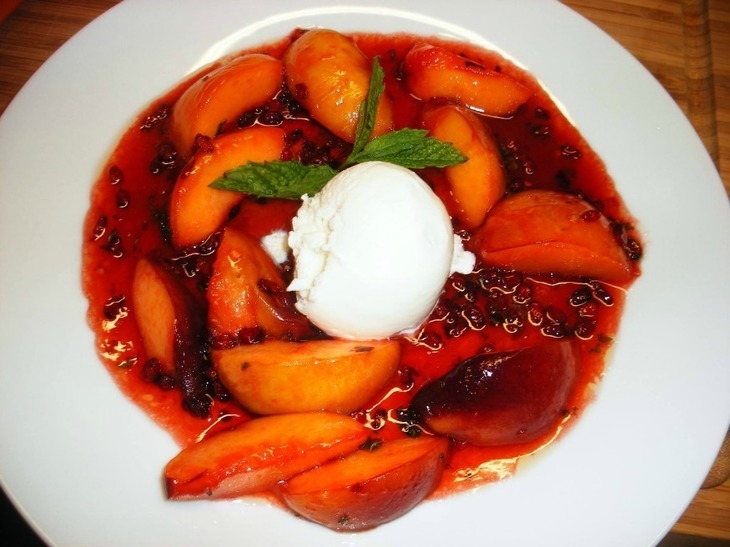 The menu changes daily and with the seasons so the desserts are on rotation, but you might find a dish of saffron poached pears, or sholeh zard — an Iranian saffron rice pudding, made without milk — or a peach, barberry and chilli pan fry, served with vegan ice cream. Ice cream sandwiches at Cookies and Scream. This vegan bakery has graduated from a Camden Lock stall to a permanent cookie bar, where you can get a seat and a coffee to go with the fresh-from-the-oven cookies and pies. But the beauty of the Cool Cookies, meant to be eaten straight from the fridge, is that you can buy them to takeaway and stock your own freezer for days, weeks or months to come, transferring them to the fridge in batches. 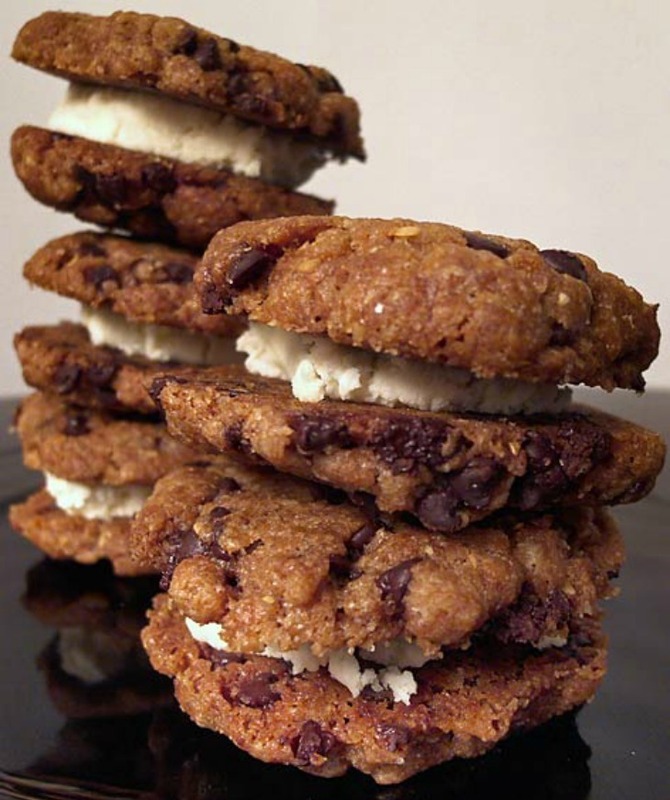 Best of the range have to be the Wookiee Bars, with double chocolate chip and chocolate coating, and the Scream Sandwiches, two chocolate chip cookies glued together with coconut and vanilla paste. Cookies and Scream, 130 Holloway Road, N7 8JE. Technically a drink, but a drink that takes a tankard, spoon and probably a bib to handle. The freakshake is a towering pile of milk, cream and ice cream, garnished with chocolate, or meringues, or brownies, or probably all of those. About as non-vegan as you can get without actually throwing a steak into the mix. 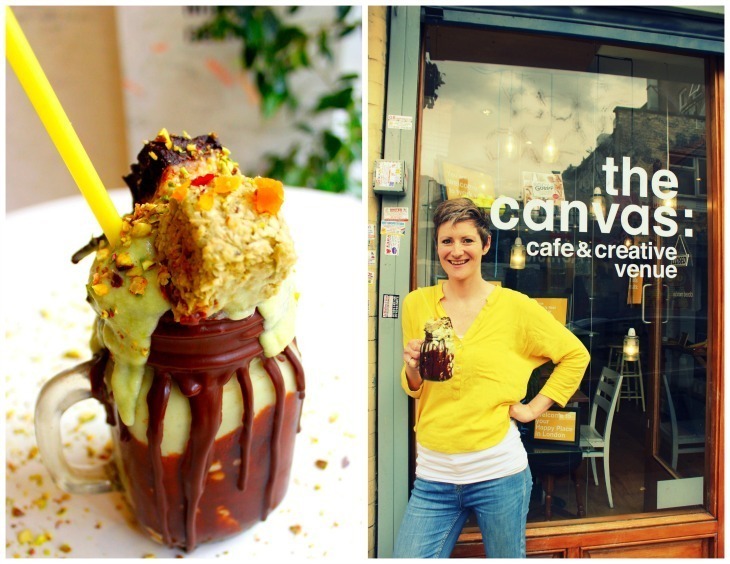 But the good people at Canvas have done some inventive stuff with soy, maple syrup and other sleight of hand tricks to create a vegan freakshake, as bright, ridiculously large and ornate as the traditional version. The dark chocolate one topped with vegan meringue and macaron sounds like the most decadent, and so the one most in keeping with the spirit of the freakshake. We've also heard high praise of the baklava at the What the Pitta locations in Shoreditch and Croydon. 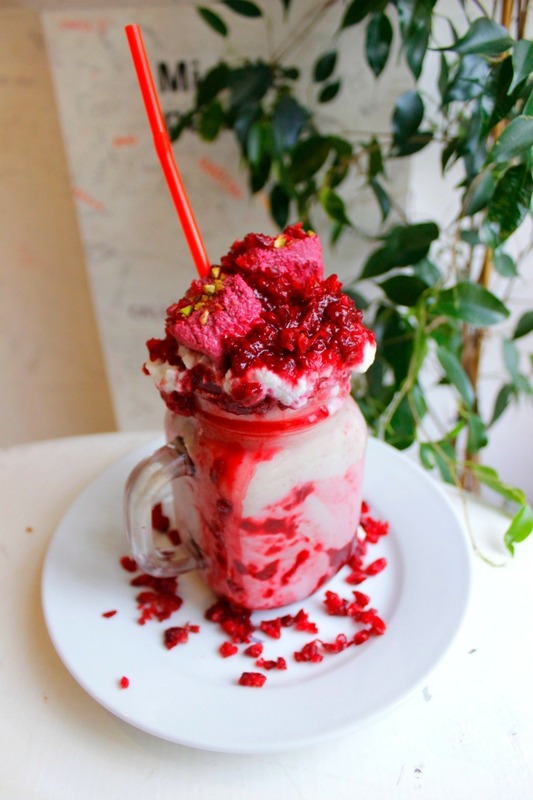 The granitas at Gelupo are always vegan and always impressive, and Chin Chin Labs in Camden always has a vegan flavour, such as coconut and makrut lime, on its nitro ice-cream menu.